An Overview about Fintech in Dubai. The United Arab Emirates (UAE), and in particular the city of Dubai, is poised to become a regional fintech hub as the country looks to take the lead in the digital race. Backed by government initiatives to encourage greater use of digital tools and platforms, the UAE has undergone a digital revolution in a short period of time. And already, the country is outperforming the UK in percentage terms for connected devices, according to Jason Stokes, the chief executive of Eastside Co., a digital website agency. Figures by BMI Research suggest that the UAE’s e-commerce market is likely to grow to US$17.8 billion by 2020 compared to 2015’s sales of US$5 billion. By 2020, the UAE’s e-commerce industry is set to represent 45.6% of the Middle East market. In the UAE, the Dubai International Financial Centre (DIFC) acts as a financial free zone that connects Middle East and North African (MENA) markets with those in Europe, Asia and America. 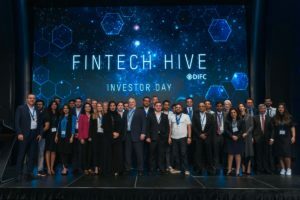 The center’s fintech accelerator, Fintech Hive at DIFC, was launched last year to leverage these networks to create an enabling environment for the development of fintech solutions in the region. Last month, five new startups and companies joined the DIFC fintech community, including Virtual i, the region’s first insurtech firm, as well as Amani and Regulation Technology Solutions, the agency’s first regtech firms. Virtual i provides risk and claims assessment services to the insurance industry by automating the process of data collection and analysis and the production of assessment reports. Amani is a cloud-based, blockchain-enabled, automated on-boarding platform built on proprietary machine learning technology that includes pattern recognition, image processing algorithms, optical character recognition, biometric recognition and partner data that aims to improve the customer experience. Other startups that joined the DIFC and the Fintech Hive accelerator program include AtCash, a distributed ledger technology startup that focuses on transforming paper cash into digital cash, and Bizness Analytics Technologies, a company which combines data analytics products with management consultancy to help clients handle, measure and articulate big data and make smarter business decisions. “The fintech sector in the Middle East, Africa and South Asia (MEASA) region, and the UAE in particular, continues to gain momentum, supported by increasing need for more efficient and accessible financial solutions,” said Raja Al Mazrouei, the executive vice president of Fintech Hive at DIFC. 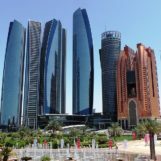 In addition to the launch of a new dedicated commercial license for fintech, regtech and insurtech firms, the DIFC has also recently unveiled its Fintech Workhub, a co-working space and platform for startups and venture capital (VC) firms to connect, as well as a US$100 million fintech startups fund. For 2018, the DIFC said it will put a special focus on insurtech and regtech with the launch of a two dedicated programs as part of Fintech Hive at DIFC. In parallel, the agency continues to bring fintech courses to its facility the Academy, with the aim of educating the financial services community about emerging trends such as blockchain and artificial intelligence. Alongside the DIFC, its independent regulatory body the the Dubai Financial Services Authority (DFSA) has also been supporting fintech development, launching in May 2017 a regulatory sandbox for startups and companies looking to experiment with innovative solutions. 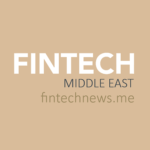 In MENA, the UAE has emerged as a serious contender in the fintech race. 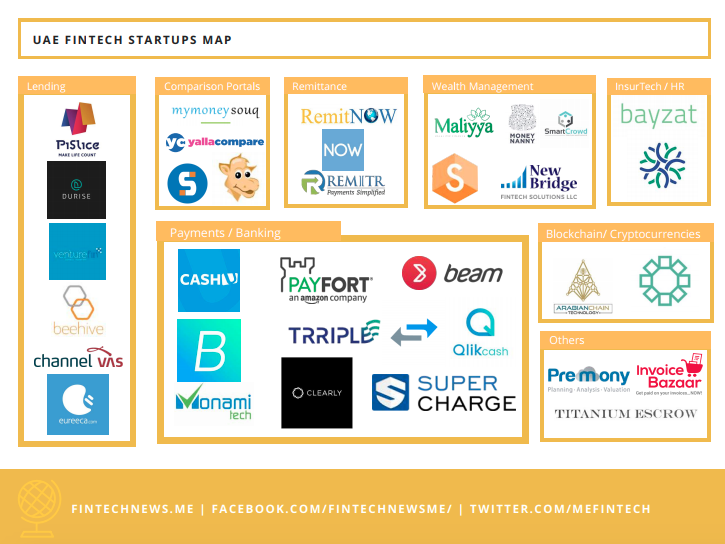 In 2015, the country hosted 29% of MENA’s fintech startups, among which some of the region’s top fintech ventures. This includes for instance, Bridg, a smartphone payment platform that works over Bluetooth, insurtech startup Democrance, which aims to offer insurance and protection to the 99% uninsured people in the region, Beehive, the first peer-to-peer lending platform to be regulated in MENA, Souqalmal.com, a leading financial products comparison platform serving the Middle East, and Eureeca, a regulated equity crowdfunding platform. 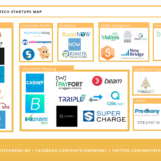 Download the Fintech UAE Startup Map here. Featured image: Dubai – Burj Al Arab – Helicopter View, Sam valadi, via Pixabay.